We designed the Chimalong® to help children develop creativity at an early age. 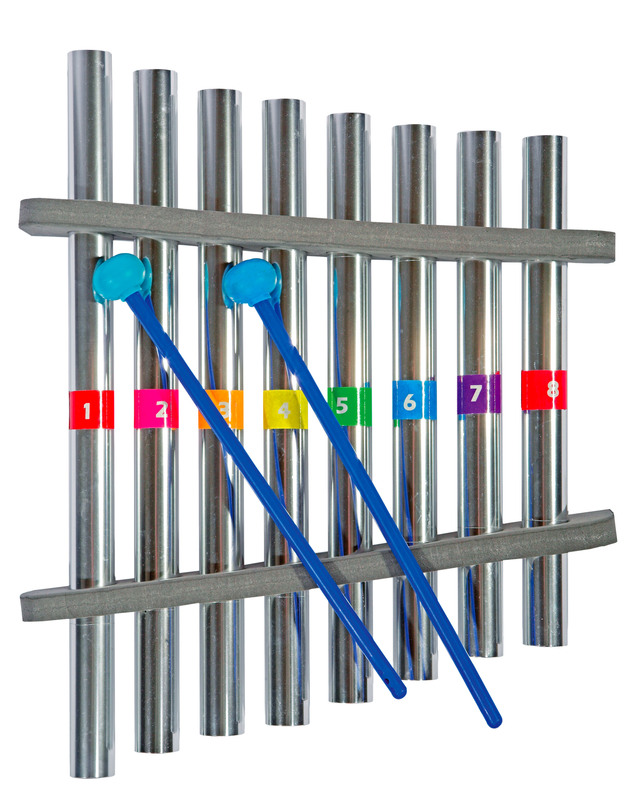 When our two daughters were young, I found little on the market that would inspire them to learn music, so I decided to create a metallophone from musically tuned Woodstock Chime tubes, and the Chimalong was born. Little did we know that celebrities like Jim Henson would endorse the instrument for its educational value. It was amazing to meet with Jim and hear him say that this instrument was a great musical vehicle for children to not only learn but to experience and have fun with music. The Chimalong has earned many awards and endorsements since then, and has been a customer favorite for 30 years and counting! Here is a short video that tells the story of how, back in the early ‘80s, I developed something for our children that helped them grow from a very young age to a level of creativity that has had a profound effect on their lives. We have heard from so many people who grew up with this instrument, who confirmed what a great influence it was on their early development. They tell us that they are now sharing that with their children. I feel quite flattered but old! Great article on Alan Abel “Once In A Lifetime” event!